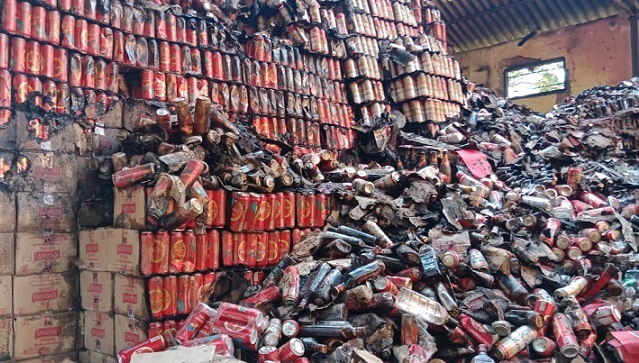 Fire gutted a godown where seized illegal Indian Made Foreign Liquor (IMFL) were stored at Hanjanglangso in Karbi Anglong district under Bokajan Police Station on Saturday night. It has been suspected that miscreants caused the fire who were there to steal the bottles of beer and IMFL. 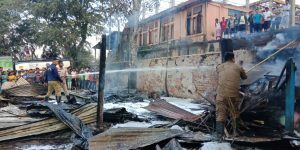 In another incident of fire that took place at noon on Sunday, a fire burnt down two houses at Khatkhati in Karbi Anglong district under Khatkhati Police Station. The fire originated from the place where oil tankers used to be parked. It has been suspected that the fire was caused by a motor while oil was illegally being pumped out from a tanker. 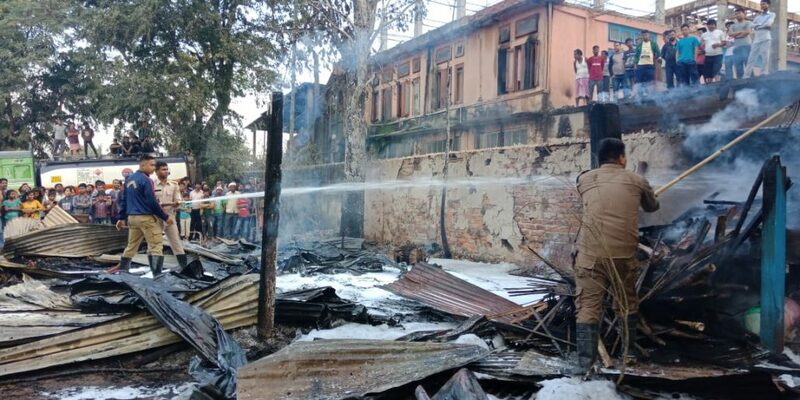 Fire tenders from Bokajan and Dimapur doused the fire and prevented it from doing further damage in the area. Earlier also, on November 11. similar incident of fire took place at Khatkhati where oil is transferred from oil tankers. In that incident, two oil tankers were burnt. The place located along the Assam-Nagaland border is suspected to be a hub of inter-State oil pilfering racket. Locals allege that some corrupt police and administrative officials are in league with mafias in running several illegal operations including bootlegging, smuggling of IMFL into neighboring Nagaland which is a dry state, gun running, drug peddling and transit point for stolen vehicles from all over India.